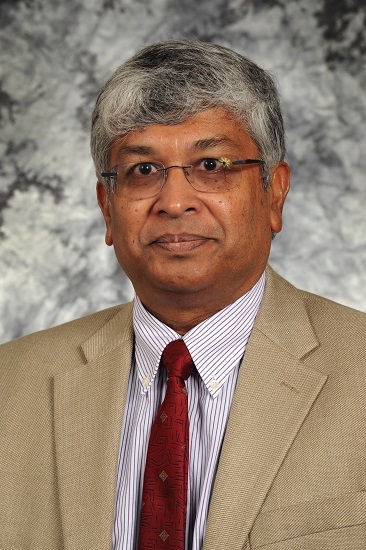 Researcher - Shyam Nair, Ph.D.
Dr. Shyam Nair recently joined the Energy, Environment, Science and Technology Directorate at INL. He has a Ph.D. in chemical engineering from the University of Kentucky and a master’s in business administration from University of Tennessee-Knoxville. He has provided technical, research, project management, and business development services in multiple areas of engineering and science over the past 27 years. He has assembled project teams and managed projects requiring expertise in diverse disciplines. He has provided consulting services in modeling contaminant fate and transport in air, groundwater and surface water; estimating human exposures to pollutants; evaluating risks of contacting diseases and mortality from exposure to contaminants; estimating risks to ecological endpoints as a result of exposure to harmful chemicals and human activities; developing decision support software; environmental site characterization, assessments and feasibility studies; and database management. He has developed, tested, and applied mathematical models based on finite element, finite difference, Monte Carlo, and Markov Chain methods that span several areas of expertise including atmospheric sciences, transport phenomena, hydrology and hydrogeology, radiation health physics, thermodynamics, probability theory, and options trading. He is an expert programmer with experience in multiple operating systems. He is currently working on system dynamics and economic analyses of engineering and environmental projects. He has over 25 technical publications. He plans to enjoy summer and winter outdoor activities in daho with his wife and friends. Dixon, B., Feng, B., Hoffman, E., Stauff, N., Caresen, B., Nair, S., Hays, R., and Brown, N. 2015. Impact of Modularization During Fuel Cycle Transition. Fuel Cycle Research and Development Report Prepared for the U.S. Department of Energy, FCRD-FCO-2015-000289, September 30, 2015. Nair, S. K., Bartell, S. M., and Brain, R. A. 2015. A Comparative Study of the Modeled Effects of Atrazine on Aquatic Communities in Midwestern Streams. Manuscript accepted for publication in Environ. Toxicol. Chem. Journal. Bartell, S. M., Brain, R. A., Hendley, P., and Nair, S. K. 2013. Modeling the Effects of Atrazine on Plant Communities in Midwestern Streams. Environ. Toxicol. Chem., Oct, 32(10):2042-11. Nair, S. K. and Brain, R. A. 2012. Description and Sensitivity Analysis of EPA’s Proposed Methodology for Specifying Levels of Concern for Protection of Plant Communities in Freshwater Ecosystems Using the PATI Model. E2 Consulting Engineers, Inc., Report No. E2-SYN1293-2012-02. Prepared for Syngenta Crop Protection, LLC, Greensboro, NC. Task No. TK0123293. May 29, 2012. Nair, S. K. 2012. Development of 84-Day Multi-Species Exposure-response Curves for NOA449280 (herbicide). E2 Consulting Engineers, Inc., Report No. E2-SYN1293-2012-01. Prepared for Syngenta Crop Protection, LLC, Greensboro, NC. Task No. TK0105146. March 1, 2012. Best, E. P. H., Teeter, A. M., Landwehr, K. J., James, W. F., and Nair S. K. 2008. Restoration options for potential persistence of submersed aquatic vegetation: combining ecological, hydrodynamic and sediment transport modelling, Freshwater Biology 53:814-826. Best, E.P.H. ; Kiker, G.A., Rycyzyn, B.A., Kenow, K.P., Fischer, J., Nair, S.K., and Wilcox, D.B. Aquatic plant growth model refinement for the Upper Mississippi River – Illinois Waterway System Navigation Study. ENV Report 51, 87 pages, U.S. Army Corps of Engineers, Rock Island District, St. Louis District, St. Paul District, September 2005. Best, E.P.H., Teeter, A.H., and Nair, S.K., 2004. Modeling the impacts of suspended sediment concentration and current velocity on submersed vegetation in an Illinois River Pool, USA. ERDC/TN APCRP-EA-07. July 2004. Bartell, S.M. and Nair, S. K. 2004. Establishment risks to invasive species. Risk Analysis. 24(4)833-845. Bartell, S.M., Campbell, K.R., Miller, E.M., Nair, S.K., Best, E.P.H., and Schaeffer, D.J. Interim report for the Upper Mississippi River System – Illinois Waterway System Navigation Study. Ecological models and approach to ecological risk assessments. ENV Report 38. U.S. Army Corps of Engineers, Rock Island District, St. Paul District, September 2003. Bartell, S. M., Campbell, K. R., Lovelock, C. M., Nair, S. K., and Shaw, J. L. 2000. Characterizing aquatic ecological risks from pesticides using a diquat dibromide case study III. Ecological process models. Environmental Toxicology and Chemistry 19(5)1441-1453. Apostoaei, A.I., Nair, S.K., Thomas, B.A., Lewis, C.J., Hoffman, F.O., and K.M. Thiessen. 2000. External exposure to radionuclides accumulated in the shoreline sediments of the lower Clinch River. Health Physics 78(6):700-710. Nair, S. K., Apostoaei, A. I., and Hoffman, F. O. 2000. A radioiodine speciation, deposition, and dispersion model with uncertainty propagation for the Oak Ridge Dose Reconstruction. Health Physics 78(4):394-413. Konoplev, A.V., Bulgakov, A.A., Hoffman, F.O., Kanyar, B., Lyashenko, G., Nair, S.K., Popov, A., Raskob, W., Thiessen, K.M., Watkins, B., and Zheleznyak, M. 1999. Validation of models of radionuclide wash-off from contaminated watersheds using Chernobyl data. Journal of Environmental Radioactivity 42:131-141. Garger, E.K., Hoffman, F.O., Thiessen, K.M., Galeriu, D. Kryshev, A.I., Lev, T., Miller, C.W., Nair, S.K., Talerko, N., and Watkins, B. 1999. Test of existing mathematical models for atmospheric resuspension of radionuclides. Journal of Environmental Radioactivity 42:157-175. Nair, S.K., Chambers, D.B., Radonjic, Z., and Park, S. 1998. Transport, Chemistry, and thermodynamics of uranium hexafluoride in the atmosphere - Evaluation of models using field data. Atmos. Environ. 32(10):1729-1741. Nair, S.K., Chambers, D.B., Park, S.H., and Hoffman, F.O. 1997. Review of Models Used for Determining Consequences of UF6 Release. Development of Model Evaluation Criteria. NUREG/CR-6481, Vol. 1. Division of Fuel Cycle Safety and Safeguards, U.S. Nuclear Regulatory Commission, Washington, DC. Nair, S.K., Chambers, D.B., Park, S.H., Radonjic, Z.R., Coutts, P.T., Lewis, C.J., Hammonds, J.S., and Hoffman, F.O. 1997. Review of Models Used for Determining Consequences of UF6 Release. Model Evaluation Report. NUREG/CR-6481, Vol. 2. Division of Fuel Cycle Safety and Safeguards, U.S. Nuclear Regulatory Commission, Washington, DC. Nair, S.K., Miller, C.W., Thiessen, K.M., Garger, E.K., and Hoffman, F.O. 1997. Modeling the resuspension of radionuclides in Ukrainian regions impacted by Chernobyl fallout. Health Physics 72(1):77-85. Cooke, R.M., Polle, B., Papazoglou, I., Brand, P., Saltelli, A., Nair, S.K., and Helton, J. 1997. Results of Benchmark Exercise for Dispersion. In: Proceedings of the Benchmark Workshop of the European Safety and Reliability Association=s Technical Committee on Uncertainty Modeling (Ed: R.M. Cooke). Delft University of Technology. March 1997. Cooke, R.M., Polle, B., Papazoglou, I., Brand, P., Saltelli, A., Nair, S.K., Helton, J., and Hofer, E. 1997. Results of Benchmark Exercise for BLEVE=s. In: Proceedings of the Benchmark Workshop of the European Safety and Reliability Association's Technical Committee on Uncertainty Modeling (Ed: R.M. Cooke). Delft University of Technology. March 1997. Nair, S.K., Hoffman, F.O., Thiessen, K.M., and Konoplev, A. 1996. Modeling the wash-off of 90Sr and 137Cs from an experimental plot established in the vicinity of the Chernobyl reactor. Health Physics 71(6):896-909. Nair, S.K., Seigneur, C., and Longwell, D. 1990. Simulation of Chemical Transport in Unsaturated Soil. J. Environ. Engineering 116(2):214-235. Seigneur, C., Longwell, D., Nair, S.K., and Wegrecki, A. 1989. Mathematical Modeling of Air Toxic Emissions from Landfill Sites. In: Intermedia Pollutant Transport: Modeling and Field Measurements (D. T. Allen, Y. Cohen, and I.R. Kaplan, eds.). Plenum Press 105-109. Nair, S.K., and Peters, L.K. 1989. Studies on Non-Precipitating Cumulus Cloud Acidification. Atmos. Environ. 23(6):1399-1423. Nair, S.K., Peters, L.K., and Alkezweeny, A.K. 1985. Formation of Sulfate in Non-Precipitating Clouds. In: Proceedings of the 78th Annual Meeting of the Air Pollution Control Association, Detroit, MI. Ray, A.K., and Nair, S.K. 1984. Migration of Radionuclides in Porous Media by Ground water with Non-Equilibrium Adsorption. Annals Nucl. Energy 11(12):611-621. Ray, A.K., Nair, S.K., and Nuttall, H.E. 1983. Effect of Channeling in a Porous Medium on Radionuclide Migration. Scientific Basis for Nuclear Waste Management 15:363-371. Ray, A.K., Nair, S.K., and Nuttall, H.E. 1982. A Combined Model for Performance Assessment of Geologic Waste Isolation Systems. Scientific Basis for Nuclear Waste Management 11:611-618. Nair, S. K. Two-Dimensional Uncertainty Analysis for Human Health Risk Assessments – Pitfalls and Possible Solutions. Presented at the 2001 Annual Meeting of the Society for Risk Analysis at Seattle, WA, December 2-5, 2001. Bartell, S. M., Nair, S. K., and Divan, C. L. Reducing the Risks of Exotic Species Introductions By Treating Solid Wood Packing Materials Used in International Trade. Presented at the Workshop titled “Risk Assessment of Invasive Species: Perspectives from Theoretical Ecology,” at Las Cruces, NM, October 21-23, 2001. Nair, S. K., I.A. Apostoaei, F.O. Hoffman, and F.A. Gifford. Long-term and Episodic Modeling of Atmospheric Dispersion of 131I for the Oak Ridge Dose Reconstruction Study. Annual Meeting of the Society for Risk Analysis. Washington, DC. December 7-11, 1997. Nair, S.K., S.C. Mehrotra, A.N. Findikakis, A.M. Ghazali, and M.A. Sabbe. Performance Assessment of A Proposed Above-Ground LLRW Disposal in Nebraska. 14th Annual US Department of Energy Low-Level Radioactive Waste Management Conference, Phoenix, AZ. November 1992.